Hard to find ranch with 3-car garage near Orchard Hills Golf Course. 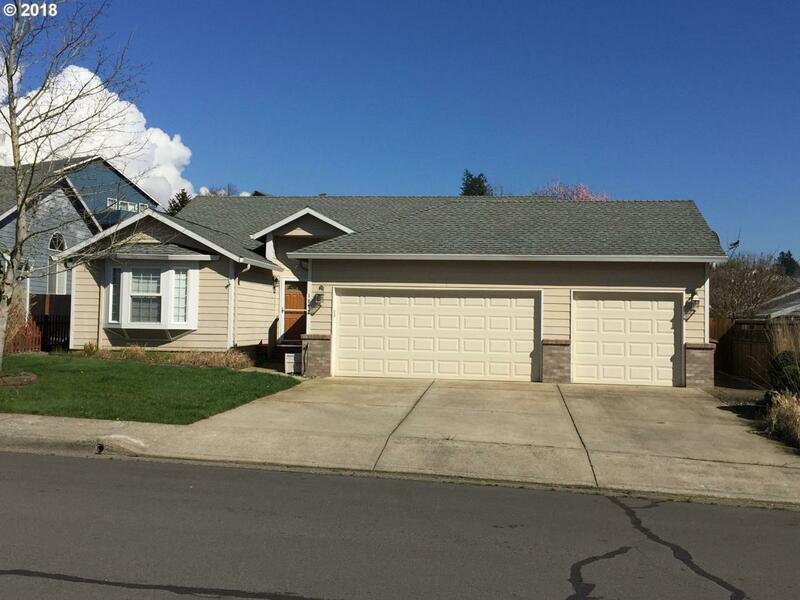 Vaulted ceilings, open floor plan, gas fireplace, 3 bedrooms, 2 baths, dining, living and family rooms. Gas forced air furnace, refrigerator, washer & dryer included. Fenced back yard, large deck, tool shed, close to quality schools, vacant and ready to move in. 30 min to PDX.